League of Legends PBE (public beta environment) updates have been a little thin thanks to the release of patch 3.04 just last week, but that doesn’t mean that Riot Games is slacking. Yesterday, we posted about Special Weapon Zac‘s splash art reveal, and today we bring you something very similar. 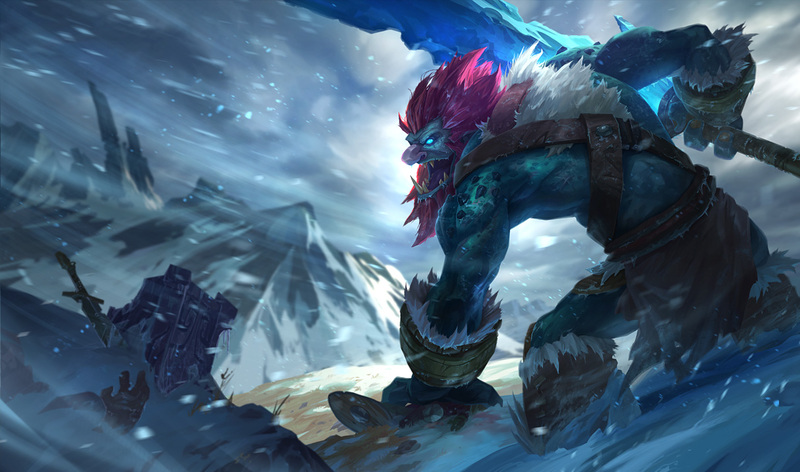 Feast your eyes upon the new Trundle splash art. Trundle needs a rework very badly, but Riot simply doesn’t have the resources at the moment to do that, but they do have time to give him a visual overhaul. So it comes as no surprise that the PBE saw a change in Trundle’s base splash art. Aside from this, only one change was made, and that was to Karma who saw her Focused Resolve (W) get buffed to heal for 25% of missing health up from the previous 20%. What are your thoughts on Trundle? Have you ever played him? Let us know in the comments.